So, that’s it, then. 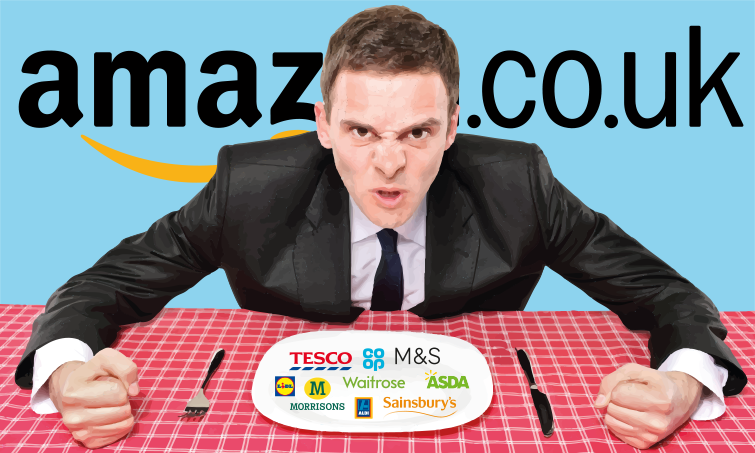 It was fun while it lasted but, the grocery sector is set to go the way of Blockbuster, Borders and Comet – crushed under the steel jackboot of Amazon. Pack up the peas, put away the pasta; when Bezos lines you up in his sights, there’s only one possible outcome. And it ain’t no picnic.